Random Elements #3 – Introduction – Bahala Na! 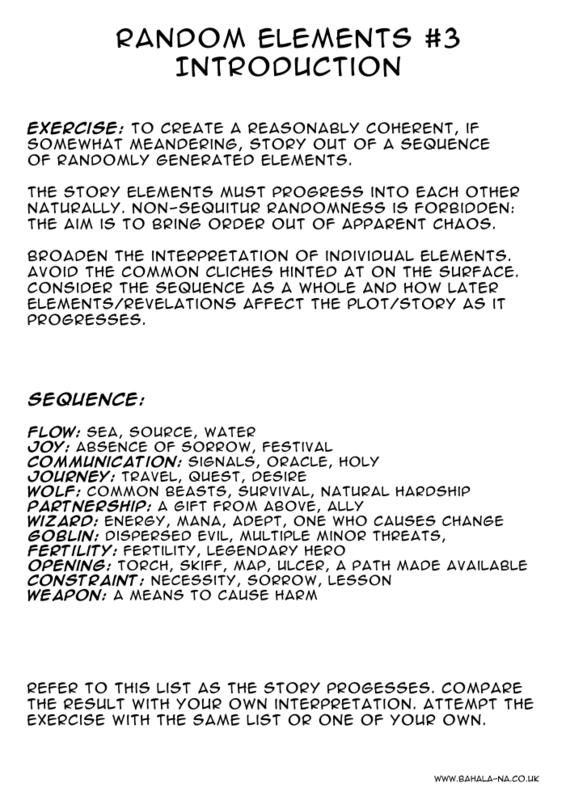 An exercise in generating a story based on a sequence of randomly generated plot points. This is my third attempt at this exercise (the previous two were very early works). Random Elements #3 was produced a few pages at a time over a period of time between May 2007 to February 2008 and was originally published on a website which no longer exists. This is it’s first formal publication on my own website.